Yee-haw! Leading up to their first show in Texas, this was the message that adorned SPTechCon’s website in large letters made of rope. At first, this reference to a caricature of Texas culture made me cringe, being a native Texan and all. However, to SPTechCon’s credit, there is some significance to the phrase being used in relation with the subject matter of the conference. 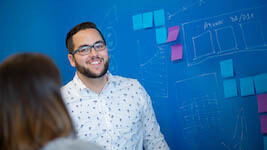 Much like the opportunity the Wild West represented to early Texas settlers, who likely coined the phrase, companies are exploring what opportunity SharePoint’s flexible, but rapidly evolving platform represents for their internal collaboration and operations. SPTechCon Austin was a great few days of sessions with thought leaders sharing their best practices, announcements from Microsoft and Amazon, and networking among SharePoint developers, admins, and power users. 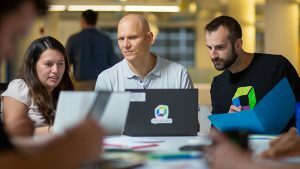 This was one of the biggest SharePoint conferences of the year, and a great chance for practitioners to learn how to take advantage of the features Microsoft has built into the latest versions of SharePoint. There were many great sessions on topics such as site design, user experience, migration, and troubleshooting, to name a few. Particularly relevant to the subject of performance was a talk by Todd Klindt and Shane Young, from SharePoint 911, on troubleshooting techniques. 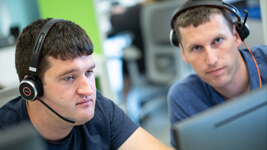 They shared expert tips on getting to the bottom of common SharePoint problems and shared some additional tools to aid in troubleshooting and monitoring issues. 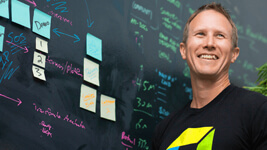 Check out Todd’s blog here. A large underlying topic at the show was what many are referring to as the inevitable move to Office 365 in the cloud. 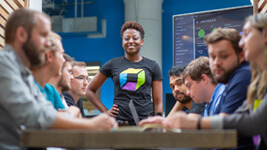 Even though many companies are planning to eventually move to the cloud, the majority of the sessions were centered around the current on-prem versions of SharePoint. Most companies were talking about their plans to move to SharePoint 2013. Some were looking at moving from 2007, and foregoing 2010 for 2013. 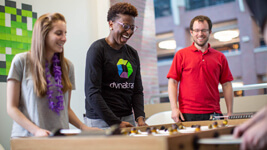 But everyone was concerned, in some fashion, with when their company will be making the move to Office 365. Newly ordained SharePoint admins from small to medium companies were eager to learn how to extract more value from SharePoint for their internal employees. Larger organizations were looking for greater control over their increasingly complex SharePoint environments. However, the overwhelming issue for SharePoint teams was the struggle to get users to adopt. 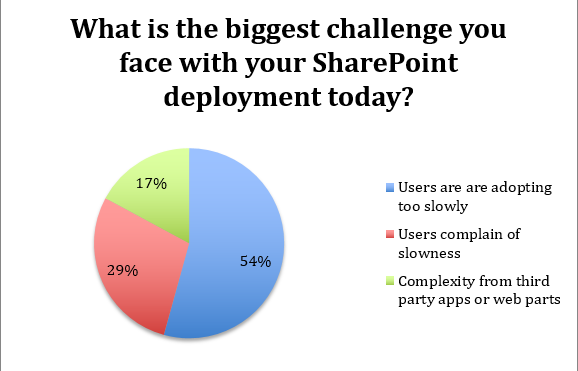 63% of the attendees* that took a survey at our booth responded that their biggest challenge with SharePoint was that users were adopting too slowly. Troubleshooting slow performance was the next highest source of frustration. One in three replied that their users complained of slowness when accessing SharePoint sites and portals. One SharePoint Admin I spoke with confirmed that many of his SharePoint issues come from many users all hitting pages concurrently. His organization had over 100,000 users using SharePoint. He needed a way to understand what was falling down during critical events that led to high load. Many companies were using third party web part software to add critical business collaboration and functionality on top of SharePoint. Two thirds of the attendees we surveyed were using third party web parts such as Avepoint, K2, Nintex and Metalogix (All of which were exhibiting at the show). 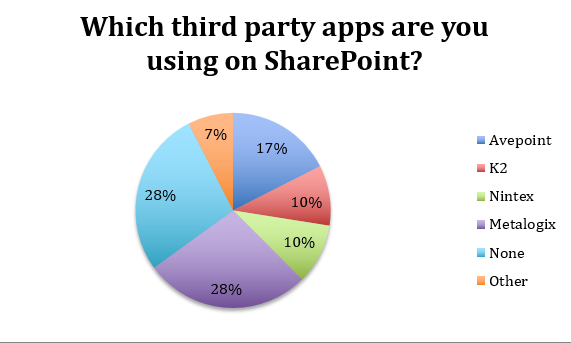 The addition of third party software into SharePoint deployments creates its own issues – one in five attendees we spoke with confirmed that they faced issues of complexity from third party apps or web parts. A SharePoint Admin I spoke with explained how he was involved in a prolonged troubleshooting ordeal between a SharePoint system implementer, Microsoft’s support team, and his internal team. Multiple teams managing and contributing to their deployment and the addition of custom code made troubleshooting much more difficult. It was evident this year at SPTechCon, by the conversations and feedback from attendees, that companies are moving quickly to realize the potential to bring tighter collaboration and enable more efficient operations with SharePoint. 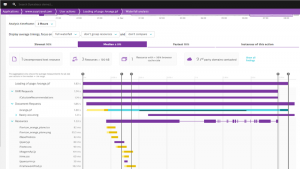 The challenges companies face now and in the coming year are balancing the integration and use of Microsoft’s out-of-the-box features and any third party tools with the ability to ensure performance and usability so that more users will adopt SharePoint. And if that task is not challenging enough, many companies have migrations to Office 365 in the cloud already in progress or on their roadmap. It was great to see SPTechCon have such a great show here in Austin. I asked a group of admins what they liked about the show compared to other SharePoint conferences. 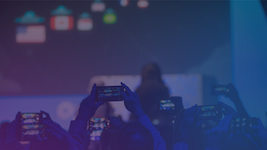 One said that many of the thought leaders she follows on the web were also there presenting, and she loved that she could meet them and ask questions face-to-face – definitely a quality of any great conference. 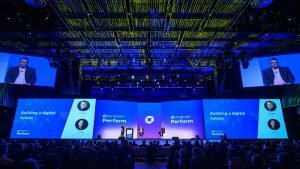 To learn more about SharePoint Performance, be sure to read Andi Grabner’s interview he did at the conference, or read his SharePoint Sanity Check in 15 minutes! Given how much value this year’s show represented, we are certainly looking forward to SPTechCon’s 2016 return to the Lone Star State. Yee-haw! *Survey of attendees was conducted at our booth. 3% of the total of attendees at the show responded.